Microsoft has announced a new service/import tool that will allow users to switch from Gmail to its Outlook.com mail service. So if you are considering to move from gmail to outlook mail service, you can do it easily with the new Outlook.com import tool. The import tool will retains all your existing Gmail mails and labels and will sort them into corresponding folders on Outlook.com. It allows you to set up an Outlook.com account and then connect it to your existing Gmail account using the secure OAuth protocol, then copy existing messages from Gmail account to Outlook.com. 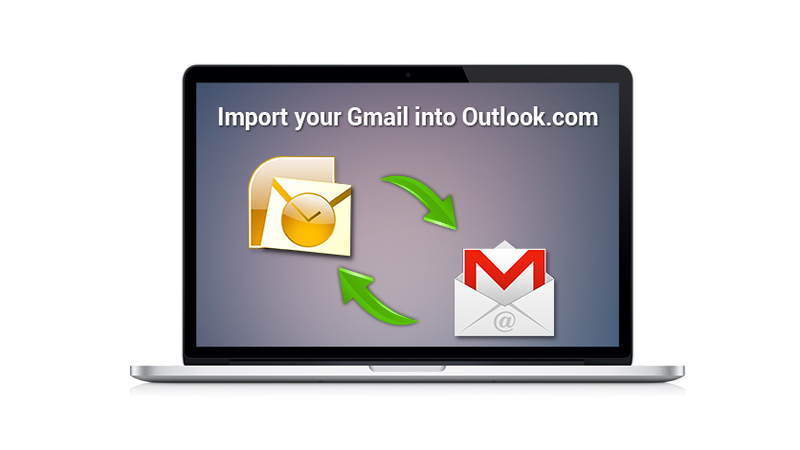 “Today, we are announcing a new service that makes it easier than ever to import your Gmail account to Outlook.com. This will be rolling out to everyone over the coming weeks, so if you don’t have access to it yet, check back soon,” Microsoft stated in an official blog post. “Once you start the import process, we’ll send you step-by-step instructions on how to set up email auto-forwarding. This enables your Gmail account to forward all your future email to Outlook.com,” said Microsoft. It seems that Microsoft is trying its best to lure more no. of users to its Outlook.com mail service. Check out this Microsoft’s step by step guide to know more about switching process and know how to move all your Gmail account over to Outlook.com. “The structure of your inbox, including read/unread status of your emails, will be preserved. The new tool will even set up your Gmail address as a send-only account so you can continue to send email from your @gmail.com address, right from Outlook.com, if you still want to,” said a Microsoft release. Also once the process of import from Gmail to Outlook.com is complete, Microsoft will send an email to let you know that everything is done. Do you wish to switch from Gmail to Outlook.com ?